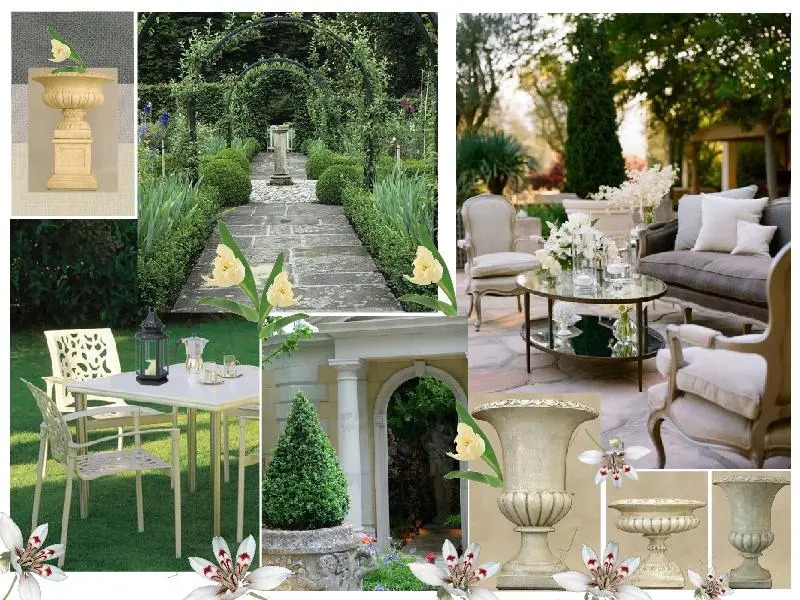 A classy garden masterpiece can be created using classic French furniture and classic style urns and other garden accessories. Use gentle soft whites, creams, beige and grey to add a sense of serenity and peace. The essence of this style of garden is the tranquility achieved from the use of white and cream flowers with gentle green foliage. Also a garden can easily be brought up to date by adding some quirky garden furniture. 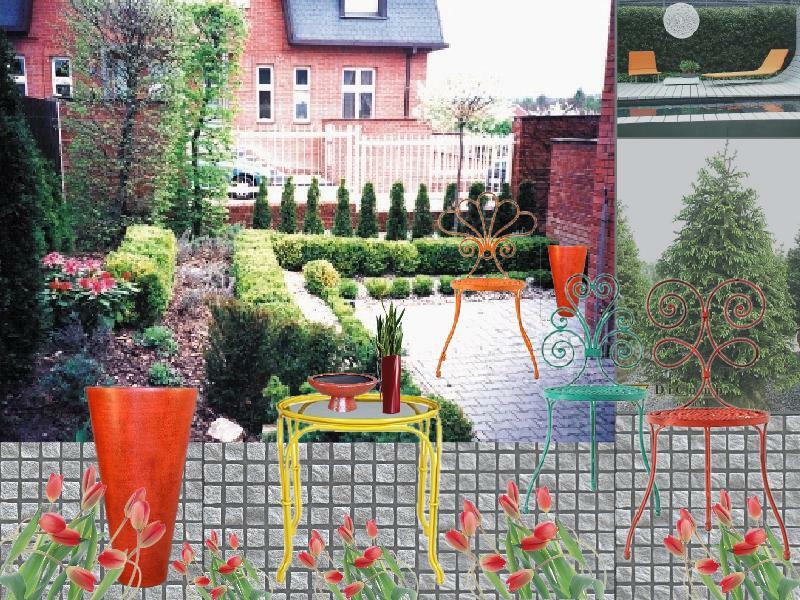 Bold colors and contemporary styles can made an ordinary garden space unexpected, extraordinary and fun. The great thing about using furniture to update a landscape is it can easily be changed and updated again and again. If you often like to change the interior spaces that flow into your garden space this could be a great option for you. For a more dramatic effect you can use black, dark grey and a variation of texture. 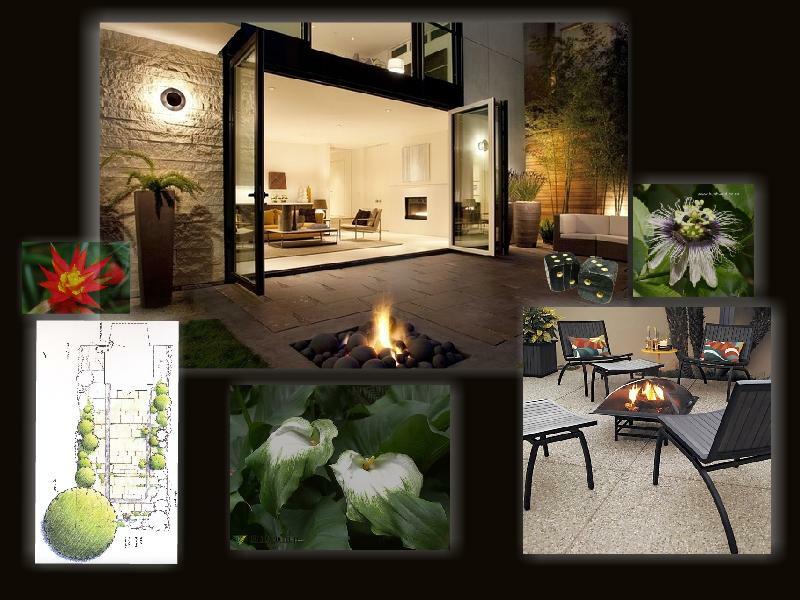 Outdoor fireplaces are very much in vogue and strong color variation, different patterns and textures add to the drama. Gardens with outdoor fireplaces are obviously designed for use at night as well as during the day. My brother recently had a Christmas in July party with the outside fireplace as a feature. Unfortunately we were unable to be there. Will be there next year; Christmas in Aussie land is during the summer. Although I have been here for years I miss the white Christmases of Europe. 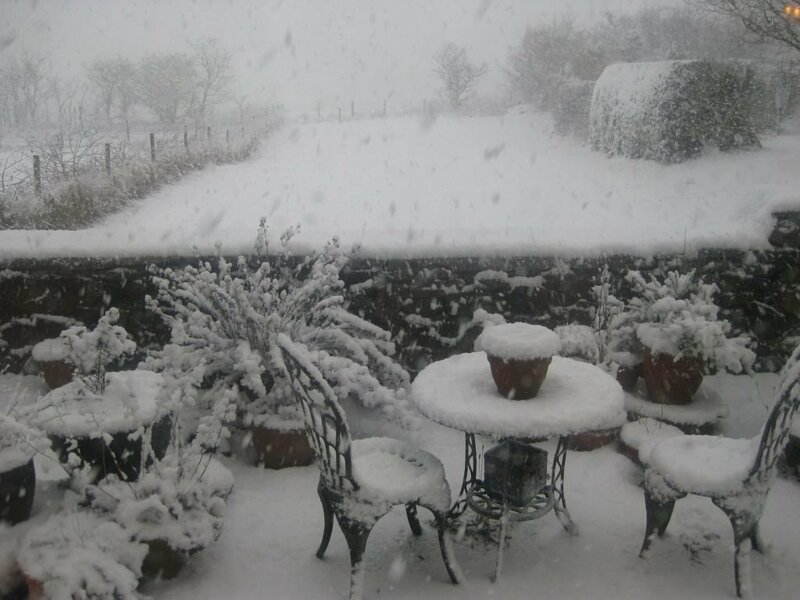 My husband laughs when I say I want to experience another white Christmas he thinks I would not cope with the cold. Maybe not, my niece spent two years in Europe she was so excited to see snow for the first time but she said she actually cried with the cold. In this blog I have created some garden mood boards combining some wonderful pins from Pinterest and the brilliant editor features and images of SampleBoard.com. I can’t get over how they work together so well. It is easy to create excellent eco friendly concept boards using these highly compatible sites. If you are an interior or fashion designer, decorator, wedding planner or landscape designer you too can create professional looking concept/mood/sample boards by starting a SampleBoard.com account. You can then upload images from your Pinterest account to add to the boards with just a click of the mouse. Hope you have as much fun as I am combining the excellent Pinterest and the brilliant SampleBoard.com. Where Design Eras Collide: Modern, Vintage or Both?